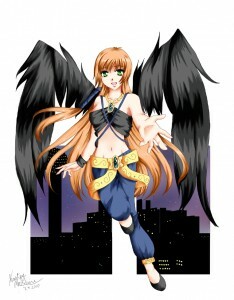 I am very excited to announce that I will be an official guest artist at Animefest 2012! This is my first time being invited to such a large and renowned convention so saying that I’m excited just does not cut it. Since I will be a guest I will be participating in many panels and events, so make sure to check out your program to see what events I will be at. As always we will have a table in the Bizarre Bazaar and will be selling comics, prints, and anything else I can put art on. Also I will have original hand painted art in the art show that you can bid on to take home. I never paint the same thing twice so it worth checking out. That’s it for now. I can’t wait to see you all there! This entry was posted in Uncategorized and tagged anime, Animefest, animefest guest, Kristen McGuire, manga, OEL Manga, original anime art, original english manga, original manga, shojo. Bookmark the permalink.